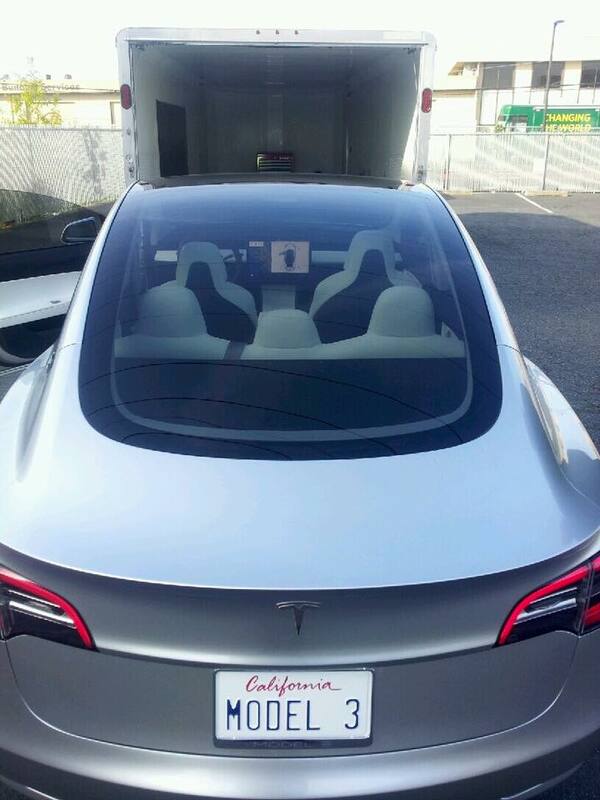 More people are spotting the Model 3 in California since the unveiling. 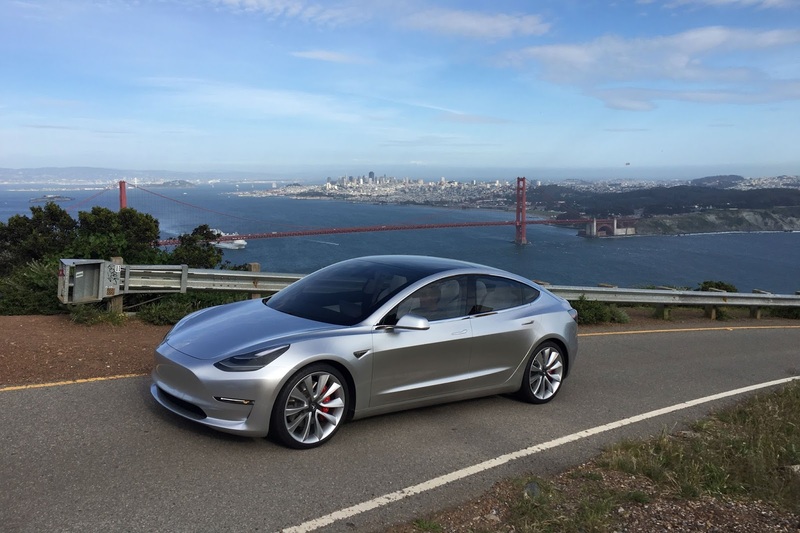 This is possibly by far one of those stunning shoots with the Golden Gate bridge and San Francisco in the background. 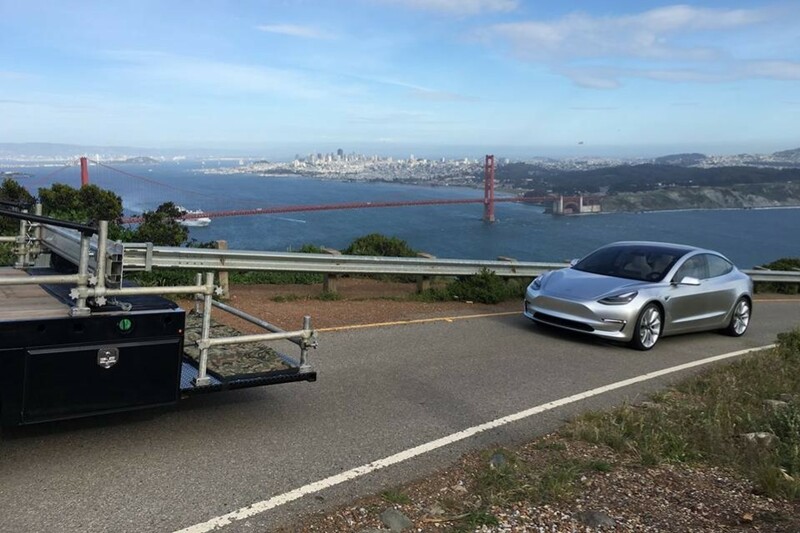 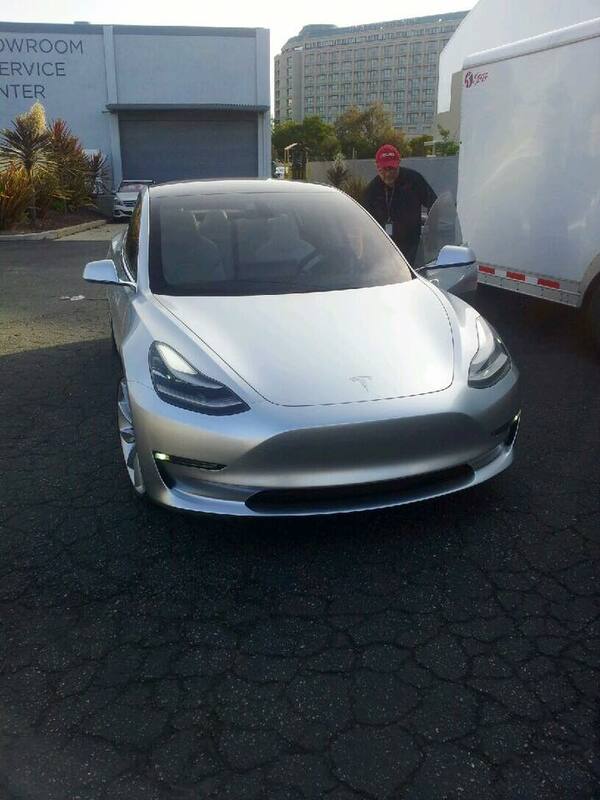 The unlicensed Model 3 in question was seen driving along the headlands of Marin County, just north of San Francisco, from what it appears to be in front of it a camera rig truck, supposedly doing a photo shoot for promotional purposes. 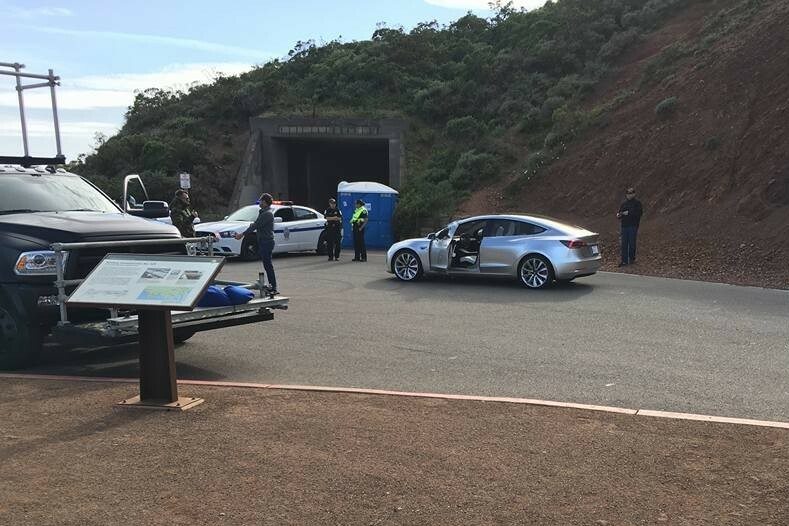 The following pictures were posted on imgur a day ago while Datcode was going on a motorcycle ride through the headlands where the photo shoot accured. 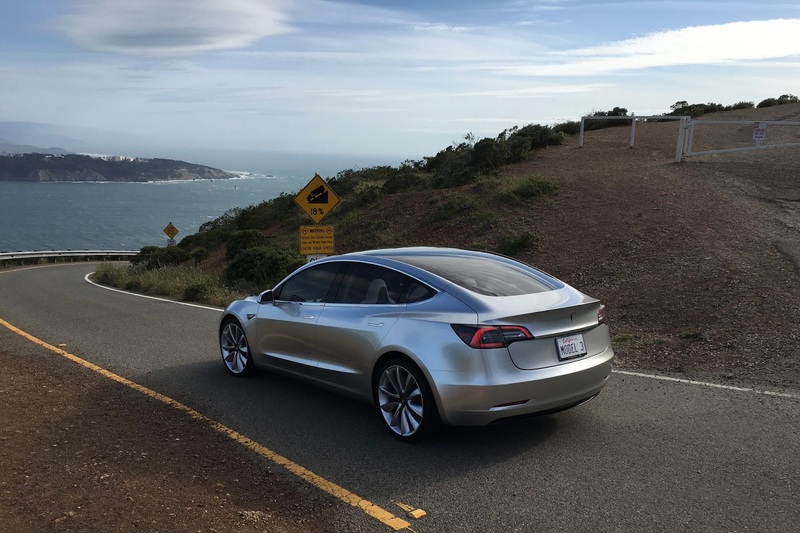 The entire area is part of the Golden Gate National Recreation Area. It is famous for its views of the Bay Area, especially of the Golden Gate Bridge. Meanwhile, Larry Wu managed to share on Tesla Owners Facebook group few shots of the Model 3 charging at Tesla Burlingame service center yesterday morning and got towed back on a trailer to its final destination. 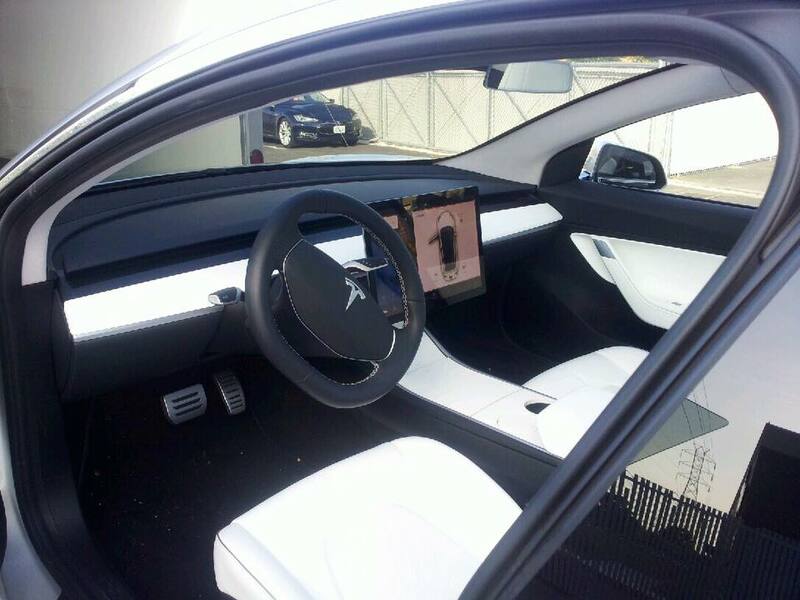 Below is a clearer picture of the minimalistic dashboard, 17 inch touch screen and steeing wheel of the Model 3 in broad day light.